The Nissan motor company was established by the Japanese Jidosha Seico Company Limited in 1933. Nissan is producer of sedans, coupes, trucks, SUVs and minivans and is well known for the reliability and craftsmanship of its products. In 1932 the Jiosha Seico Company partnered with another automobile company to build the Nissan brand. The partnership created automobiles under the Datsun name. Nissan went on to join with the Austin Motor company after World War II and then started sending their products to the United States. The Datsun 1000 was one of the first models exported. During the 60s Nissan added an alliance with the Prince Motor Company to its organization. Through the alliance Nissan was able to create a premium list of vehicles including the Datsun 510. At the end of the 60s, there were more than one million Datsuns in the United States. The introduction of the 240Z in the 1970s led to an increase in popularity and sales for Nissan. The 240Z came with a stylish design, capable handling and a 6 cylinder inline engine. By the late 70s more than ten million Nissan vehicles were in the United States. The Nissan corporation ended the production of Datsun automobiles in the 1980s. At that time it started using its own moniker. The Nismo division was also developed during the 80s. It created vehicles that offer high performance. The first American Nissan plant was also constructed around the same time. The Nissan 300ZX, Sentra and Maxima were huge sales hits for the company during the 90s. During the same decade Nissan joined with Renault to build its financial strength. After the merger, the Armada, the Titan and the 350Z were launched, and the Sentra and Altima were redesigned. The current models offered by Nissan include the GT-R, the Maxima, the Murano, the Leaf, and the 370Z. 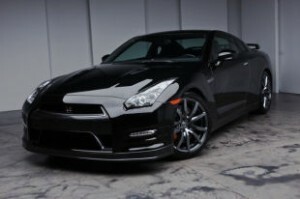 The GT-R is a sports coupe that comes with Brembo brakes, heated seating, satellite radio, remote entry and start, a Bose audio system, as well as iPod and Bluetooth connectivity. The Maxima provides a choice of two trims and gets a comprehensive list safety equipment, remote start and entry, a sunroof, and a twin region climate control. The Murano has one trim that offers leather upholstery, alloy wheels, heated seating, twin region air management, Bluetooth interface, a rear visibility camera and a Bose sound system. The Leaf hatchback has electric power and two trims. It comes with heated seating, remote entry and start, Bluetooth and iPod interface and the exclusive Nissan Connection system. The 370Z can be purchased with a coupe or convertible body. The coupe has three trim options and the convertible has two. Both frames have alloy wheels, heated mirrors, fabric upholstery, remote entry and start, automatic air control, four speakers and a CD player. For the best inventory of any Nissan For Sale in Lynnwood, Wa, visit us at Carson Cars.